Motorcycle riders are often seriously injured in motorcycle crashes. This is true even when the rider is abiding by traffic laws and adhering to safety laws such as wearing a helmet. Motorcyclists in Delaware are very vulnerable to catastrophic injury because the body is not protected by a metal frame. Without the protection given by a car, the rider is likely to hit the ground at high speeds. This can cause severe injuries to the skin, brain, spinal cord and other vital organs. These injuries may entitle you to benefits and compensation under Delaware Personal Injury Law. If you have suffered injuries in a Delaware Motorcycle Accident, you should consult with a Delaware Motorcycle Accident Lawyer. For over 25 years, the Delaware accident lawyers at The Freibott Law Firm, P.A., located in Wilmington, Delaware, have been providing skilled legal representation for injured people. We have developed a record of successful jury verdicts and settlements for our clients. According to recent Insurance Information Institute studies, the following terms are used to define motorcycle occupants: a motorcycle rider is the operator only; a passenger is any person seated on the motorcycle but not in control of the motorcycle; and any combined reference to the motorcycle rider (operator) as well as the passenger will be referred to as motorcyclists. www.iii.org says that in 2013, 4,668 motorcyclists died in crashes, down 6.4% from 4,986 in 2012. In 2013, 88,000 motorcyclists were injured in accidents, down 5.4% from 93,000 in 2012. In 2013 motorcyclists accounted for 14% of all traffic fatalities. Motorcyclists made up 4% of all people injured, 18% of all occupants (driver and passenger) fatalities, and 4% of all occupants injured. Of the 4,668 motorcyclists killed, 94% were riders and 6% were passengers. By Age: Older motorcyclists account for more than half of all motorcyclist fatalities. NHTSA data show that in 2013, 55% of motorcyclists killed in crashes were age 40 or over, compared with 46% in 2004. The number of motorcyclists age 40 and over killed in crashes increased by 39% from 2004 to 2013. In contrast, fatalities among all motorcyclists rose 16%. NHTSA says that the average age of motorcycle riders killed in crashes was 42 in 2013, compared with 38 in 2004. Accidents involving motorcycles are some of the most frequently occurring accidents and can lead to serious injury or death. According to the federal government there were 35 times more deaths from motorcycle accidents than from car accidents in 2006. When handling your motorcycle accident claim, our professional staff and attorneys work diligently to build the strongest possible case based on your facts. We use our extensive network of experts, including accident reconstruction professionals, medical specialists and vocational counselors to effectively prepare your claims. These professionals help determine the true cost of your bike crash and develop the record necessary to support our requests for compensation. 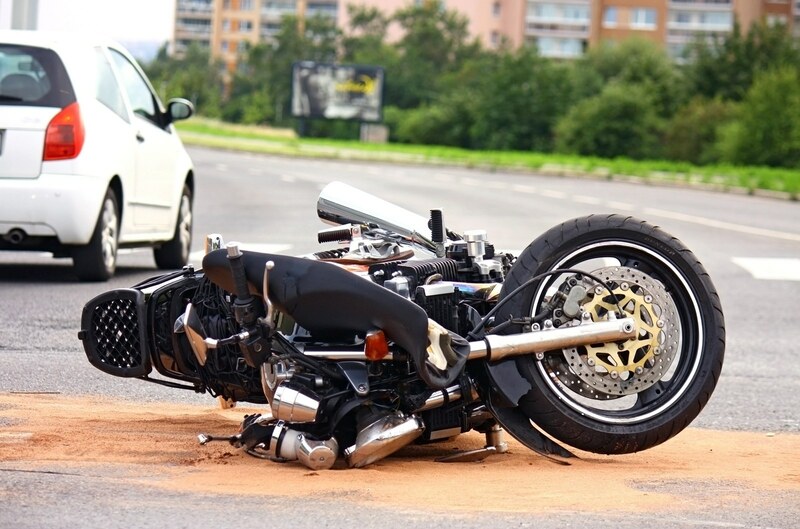 Motorcycle accidents are expensive, and recovery can take months. We will work to maximize your compensation for lost wages, medical bills, and pain and suffering. In the tragic event that a loved one was lost in a motorcycle accident, his estate may be entitled to death benefits, funeral benefits and survival benefits. Consulting with our Georgetown, Delaware motorcycle accident attorneys is a wise decision. They will make sure that you get any and all benefits, including forms of compensation for your injuries. Contact the Sussex County Delaware motorcycle accident lawyers at The Freibott Law Firm by calling 302-227-9559 to schedule your free consultation with a knowledgeable attorney. In Kent or New Castle counties, call 302-633-9000. We will advise you about filing a claim and help you understand the challenges you may encounter. Why call us? Because we win! If we accept your case, you can be sure that we will use the considerable resources of our legal team to seek compensation for you. Don’t let fear of prejudice against bikers stop you. You may assume inappropriately that there is nothing you can do to improve your situation or better your states post-accident. That is not true. Consult with any Delaware auto accident lawyer immediately. It is a smart idea to request an initial consultation with one or more Wilmington DE car accident legal professionals as soon after your own wreck as possible. You must do this only after appropriate medical treatment is usually obtained and completed. Our lawyers can assist you understand your rights and options, and how they can best protect your own personal legal interests post-accident. Incidents happen, of course , and many injuries are simply inevitable. However , in many cases, the actual negligence or recklessness of others brings about an otherwise preventable problems for occur. In these conditions, injury victims may have a right to go after compensation from the man or party at fault. If you have suffered an injury caused by someone else, the particular legal team within the Freibott Law Firm can assist you seek justice in addition to secure the full economical compensation you ought to get. Delaware workers who are hurt on the job have a right to pursue workers' compensation benefits. All these benefits cover the buying price of medical care and misplaced wages. Workers’ pay out is a form of insurance coverage providing wage substitution and medical benefits to be able to employees injured in the period of employment in exchange for mandatory relinquishment of the employee’s right to file a claim his or her employer for any tort of neglect. While various strategies differ, provision might be made for weekly repayments in place of wages, reimbursement for past along with future economic damage, reimbursement or monthly payment of medical and such as expenses, and gains payable to the dependents of workers murdered during employment. The theory for workers’ compensation insurance is that the loss suffered by staff due to an industrial injury should be maximum directly by the market in which the employee seemed to be hired and circuitously by the general public. Consequently, workers’ compensation is really a “no fault” program and an hurt employee need not establish that his supervisor was negligent so as to receive a compensation prize. Suffering a serious injuries can be a difficult knowledge for injury subjects and their families. Based on the extent and severity of a person’s wrecks, he or she may need to seek costly medical treatment in order to recover from his or her accidental injuries or at least stabilize the actual individual’s health. It can also be necessary to neglect considerable amounts of function while recovering from the injury, leading to a loss of wages that will put the person within a stressful financial situation. Accidents happen, of course , and a few injuries are simply necessary. However , in many cases, typically the negligence or recklessness of others reasons an otherwise preventable injury to occur. In these cases, injury victims could possibly have a right to pursue compensation from the particular person or party the culprit. If you have suffered a personal injury caused by someone else, the actual legal team on the Freibott Law Firm can help you seek justice as well as secure the full economic compensation you ought to have. Suffering a serious damage can be a difficult experience for injury victims and their families. With respect to the extent and extent of a person’s wrecks, he or she may need to search for costly medical treatment to be able to recover from his or her incidents or at least stabilize typically the individual’s health. It can also be necessary to skip considerable amounts of work while recovering from typically the injury, leading to the loss of wages that may put the person in a very stressful financial situation. You may assume inaccurately that there is nothing that you can do to improve your situation or even better your statements post-accident. That is not true. Consult with the Delaware auto accident lawyer immediately. It is best if you request an initial discussion with one or more Wilmington DE car accident legal professionals as soon after your wreck as possible. It is best to do this only following appropriate medical treatment is usually obtained and accomplished. Our lawyers can help you understand your rights and options, as well as how to best protect your legal interests post-accident. Delaware workers who are hurt on the job have a legal right to pursue workers' compensation benefits. These benefits cover the buying price of medical care and misplaced wages. Workers’ reimbursement is a form of insurance coverage providing wage replacing and medical benefits to employees injured throughout employment in exchange for mandatory relinquishment with the employee’s right to sue his or her employer for any tort of carelessness. While various ideas differ, provision is usually made for weekly obligations in place of wages, pay out for past and also future economic decline, reimbursement or transaction of medical and similar to expenses, and positive aspects payable to the dependents of workers killed during employment. The theory for workers’ settlement insurance is that the burning suffered by staff due to an professional injury should be paid for directly by the market in which the employee had been hired and in a roundabout way by the general public. Therefore, workers’ compensation can be a “no fault” technique and an hurt employee need not set up that his employer was negligent to be able to receive a compensation honor.